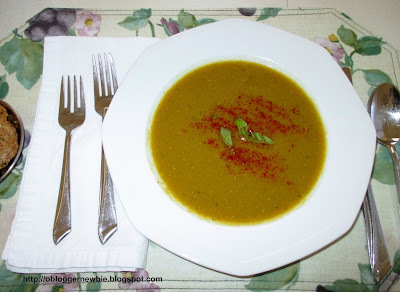 For a flavorful fall or winter supper, ladle out steaming cups or bowls of smoky vegan split pea soup. It's hearty, delicious, nutrient rich, yet doesn't contain fat or cholesterol. Prepare it when you know you'll be home for a few hours, whether that's on the weekend or early in the day. 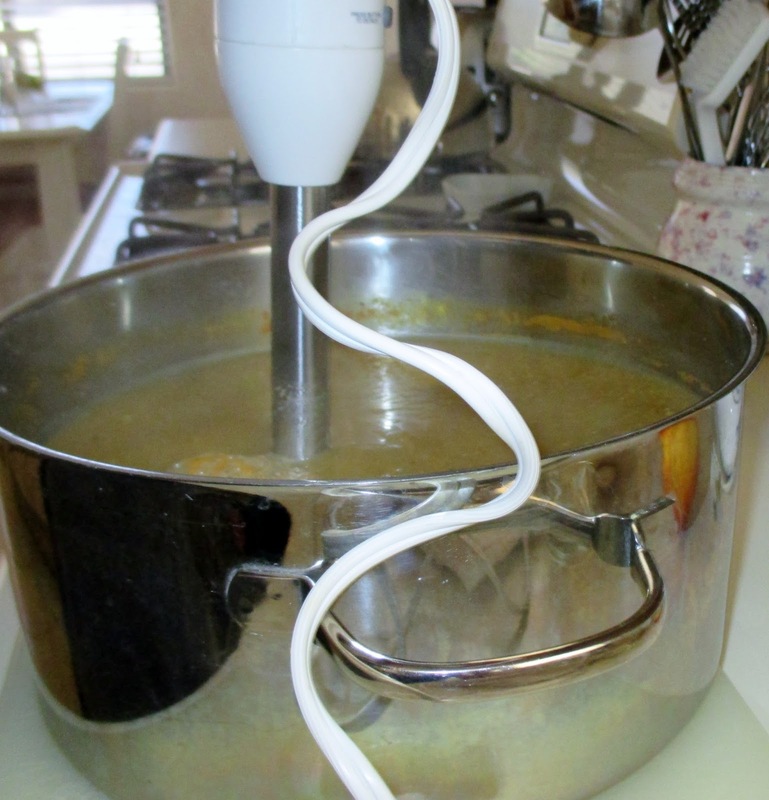 Let the soup simmer on the stove, while you work from home, do household tasks, read, jog on a treadmill, or watch TV. This recipe goes a long way. It serves at least eight people, and is so versatile. It's great for lunch, dinner, or even as a low-cal snack. Savor its flavor again during the week. This is a simple way to cut down on meal prep time, save energy, and money to boot. Smoky vegan split pea soup is an economical meatless meal that tempts your taste buds, as 1 pound of organic dried split peas cost approximately $2.99 a pound. Conventional dried peas are approximately $1.99 a pound. Use the seasonings and veggies you already have on hand, and you can whip up a meal you and your brood will love for pennies on the dollar. 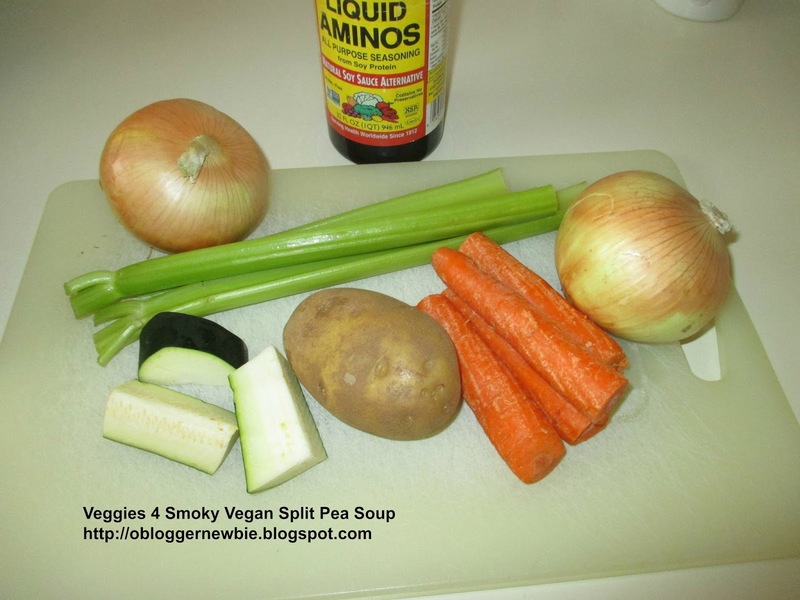 Smoky vegan split pea soup is a nutrition star. It fulfills a big chunk of the daily requirement for protein, fiber, complex carbohydrates, vitamins, and minerals. This soup is a good source of fuel for your body without added fat. Leftovers freeze well, and eating it when its defrosted and heated prevents food waste too. *A Complex Carbohydrate with approx. 40 carbs per cup. * Its glycemic index number is low, but if you want to decrease the glycemic index number further, replace the russet potato in the recipe with parsnip. Note: Check out this link and scroll down to the section for vegetables to find the "pea" glycemic index number Glycemic Index Chart and Glycemic Load for 100 foods. Note: I always use organic ingredients when available, because organic means produce and seasonings aren’t genetically modified, aren't sprayed with chemicals, and aren't grown in soil that contains chemical fertilizers. Note: No need to get overwhelmed by the long list of ingredients. All veggies can be chopped in a food processor. To keep additional prep simple, when herbs or spices mentioned above aren't in your pantry, use a substitute. Seasoning blends like 21 Seasoning Salute works well. Avoid trips to the market, and use what's in your house already. Incorporate veggies like shallots, leeks, scallions, mushrooms, red pepper, cabbage, turnip, and other varieties of squash. The more the merrier. When you add extra veggies, it makes the soup taste more full bodied and yummy. 1. 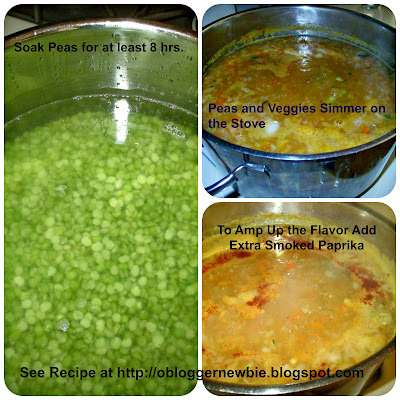 Soak split peas for at least 8 hours in enough water to cover by 2 inches. Use at least 6 cups of water, because spit peas will expand when soaked. Pour off liquid, pick out any grit that remains, and rinse well. 2. 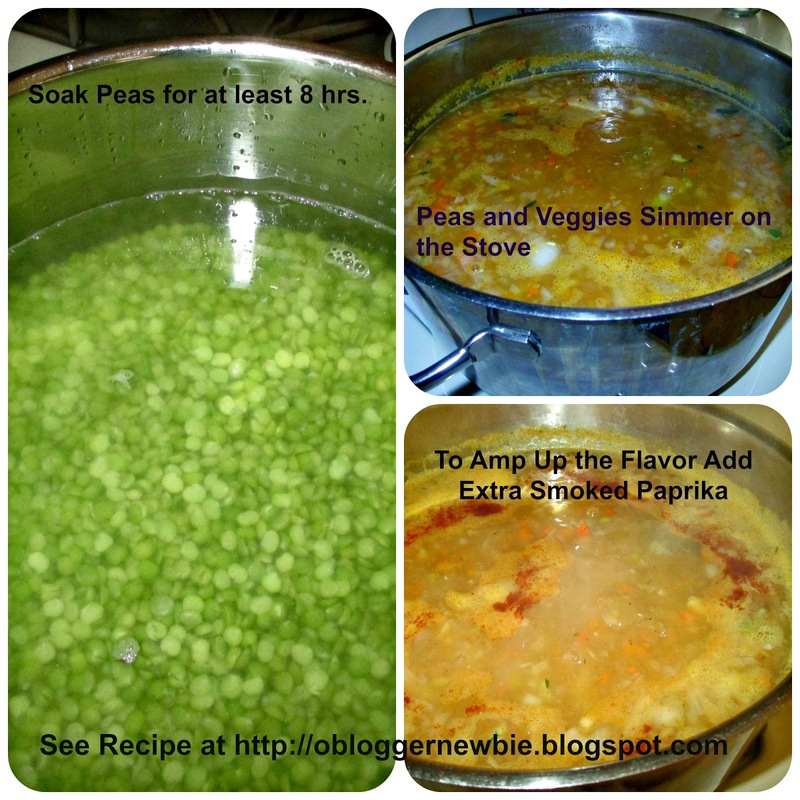 Cook peas in 8 cups of clean water on high until boiling. Add bay leaf, minced garlic cloves, and chopped onion. Lower heat to medium. Cook for one hour, stirring occasionally. 3. Add the other dry spices and fresh veggies and lower to simmer. Cover and continue cooking, until peas and veggies are tender and partly mushy (anywhere from 1/2 hour to an hour). Don't forget to stir every 10 or so minutes to avoid soup from overflowing or sticking to bottom of the pot. If you decide to add additional veggies, use an extra cup of water for each veggie you include. Season accordingly. 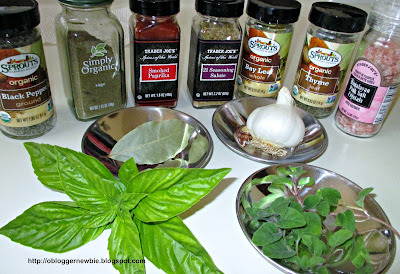 Add fresh snipped herbs a few minutes before you're ready to take the pot off the stove. 4. Remove soup pot from heat. Put on a cutting board or other heat resistant surface. Use an immersion blender or food processor to puree soup until it is blended to a consistency you like. In my house, we like thick yet smooth soup. Serve it with gluten free flax seed crackers, or with a slice of toast with almond or peanut butter. At other times, we combine it with leftover rice, quinoa, or barley. We warm it up by pouring it directly into the soup, for a terrific one dish meal. 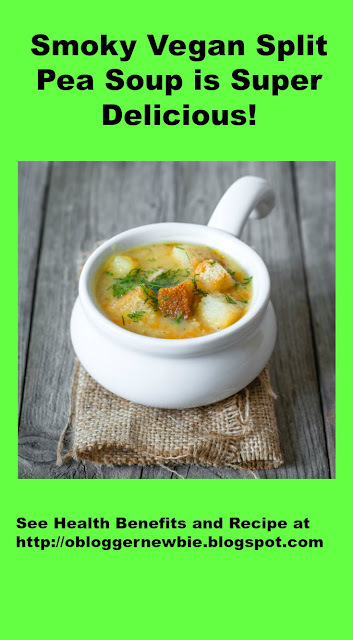 Enjoy the Homemade Goodness of Smoky Vegan Pea Soup, an unprocessed whole food with no additives or preservatives, no refined sugar, low sodium, and no harmful ingredients added to bulk it up. Your meal mates will be delighted by its lively taste and so will you! I'm glad you stopped by. Before you go, please take a moment to comment and then pin, stumble, or reshare the post (with my URL link included) on social media of your choosing. 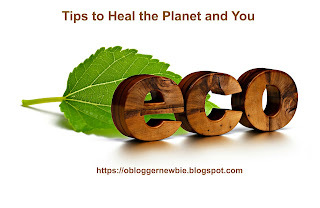 Sharing is caring and I appreciate your help in spreading the word about this blog. I'm glad you mentioned the smoked paprika. I'm looking forward to incorporating it in my cooking. Thanks Joy for your comment. I love smoked paprika's taste and it sure is an easy way to give any dish that smoky flavor. Have a great day. Thanks Michelle for commenting. Let me know if you try the recipe. What are you up to today? Any projects planned for the weekend? Wishing you much fun. Thanks Judee for your comment. WOW; 23 degrees is so low for this time of year. Don't forget to let me know how it turns out. Have a beautiful day.